Dodgers Blue Heaven: Blog Kiosk: 6/4/2016 - Dodgers Links - Seager! 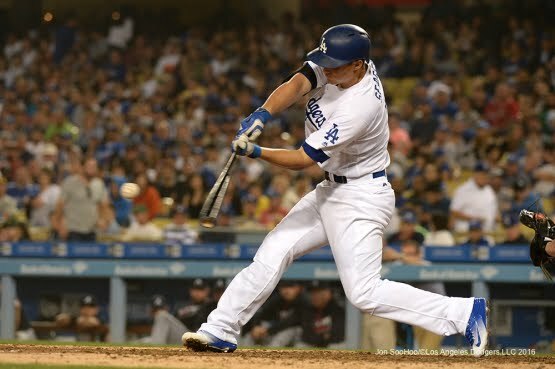 Seager! Seager! RIP, Lee Pfund. Via Jon Weisman at Dodger Insider; "Former Dodger pitcher Lee Pfund dies at 96." Via Mark Townsend at Big League Stew; "Vin Scully announces Muhammad Ali's death during Dodgers broadcast." Video is included. Via Eric Stephen at True Blue LA; "2016 Dodgers Dominican Summer League rosters include Starling Heredia, Ronny Brito." Via Robert Murray at Baseball Essential; "Source: Cuban prospect Vladimir Gutierrez throwing for Dodgers (today)." He'll be at Dodger Stadium to showcase his skills for the club. Via Jesse Rogers at ESPN; "Oral history: The time David Ross hit his first career homer off Mark Grace." Ross: So he lobbed it in there and I hit it, man. I really hit it. I still have the bat. It's a Pro-Stock M110. You know, all these guys have their names on their bats and I have a Pro Stock from the minors. So I'm sprinting around the bases and I hit first base and I hear him start screaming at me. Grace: I cursed at him all around the bases, then I realized after it was over that this poor son-of-gun waited his whole life to hit a home run in the big leagues, and of course he hits it off me in a 18-0 game. 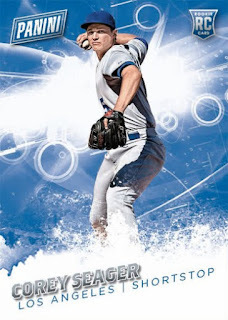 FYI, Topps has hooked up with another retailer for an exclusive Baseball card set. In March we got word of their partnership with Walmart. Now, we find out that Topps is working with New Era Caps. Per Rich Mueller at Sports Collectors Daily, starting this past Friday, yesterday, customers who purchase a cap at LIDS stores will get a unopened pack of exclusive cards that feature ballplayers who currently endorse their product. This includes Dodger outfielder Joc Pederson. 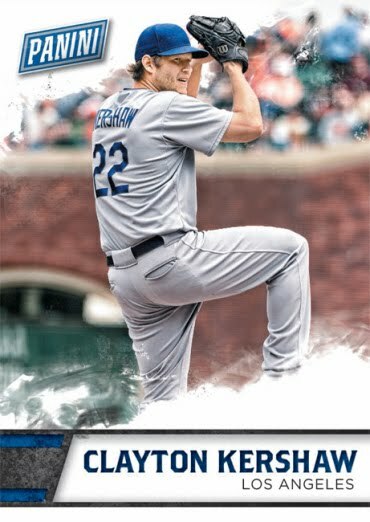 The base set uses the Topps flagship design, but appears to use different photos. There are also cap relic cards and autographs available. Go here to see some preview pics. Via Mike Johnston at SportsNet.ca; "MLB commissioner writes Toronto students letter about Bautista-Odor." “You’re always looking for opportunities to write meaningful things,” Stevens told Sportsnet Friday. “The idea [of the exercise] is it’s good to have opinions and it’s important to share your opinions. If you think something is not right, it’s good to let people know.